We are a pledging institution for Lever Press which was established in 2016 and publishes born digital, open access monographs. The Lever Press provides full editorial support including peer review and editing as well as marketing for published monographs. Focused on liberal arts colleges, "[i]Inspired by the close collaborations between faculty and undergraduate students at liberal arts colleges...the press will focus on ideas communicated with clarity and creativity—publications that 'teach what they know.'" Another aspect of this press is that all works will be freely available to readers on the web immediately upon publication. Lever Press is committed to “Platinum OA,” in which all the costs of acquiring, editing, developing, and producing the work are borne collectively by our supporting institutions—not by individual authors or their sponsoring departments or institutions. We are a subscriber to Open Book Publishers which is "a Social Enterprise run by scholars who are committed to making high-quality research available to readers around the world." With over 100 published monographs and textbooks in all areas, they "offer the academic excellence of a traditional press, with the speed, convenience and accessibility of digital publishing. " All of their works are freely available to read online. We are a supporting member of the Open Library of Humanities which provides open access to peer-reviewed articles in the humanities. Support for this initiative is by libraries so there are no article processing charges (APCs) for authors. Their mission is "to make scholarly publishing fairer, more accessible, and rigorously preserved for the digital future." We participate in Knowledge Unlatched an organization that makes books openly accessible at no cost to the author by "crowdfunding" to make previously published print books freely available online. They have expanded in 2017 to include journals as well. 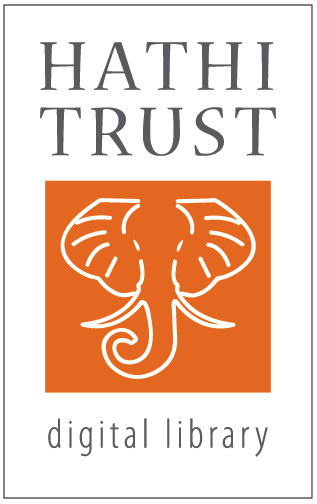 As a subscribing member, we can provide access to the HathiTrust, a digitized collection of resources from the universities of the Big Ten Academic Alliance and the University of California system. The initial focus of the partnership has been on preserving and providing access to digitized book and journal content from the partner library collections. The aim is to build a comprehensive archive of published literature from around the world and to develop shared strategies for managing and developing their digital and print holdings in a collaborative way. We are a member of the Open Textbook Network. The escalating costs of textbooks parallels our struggles to keep abreast of rising journal costs. Open access provides a solution and our goal is to work with faculty to help them adopt, adapt, or create an open textbook. This initiative is closely tied to the Strategic Plan and technology - “Technology has changed the higher education landscape—and there are new opportunities for our talented faculty to be even more dynamic in teaching.” More information will be found in our Open Education Resources guide.